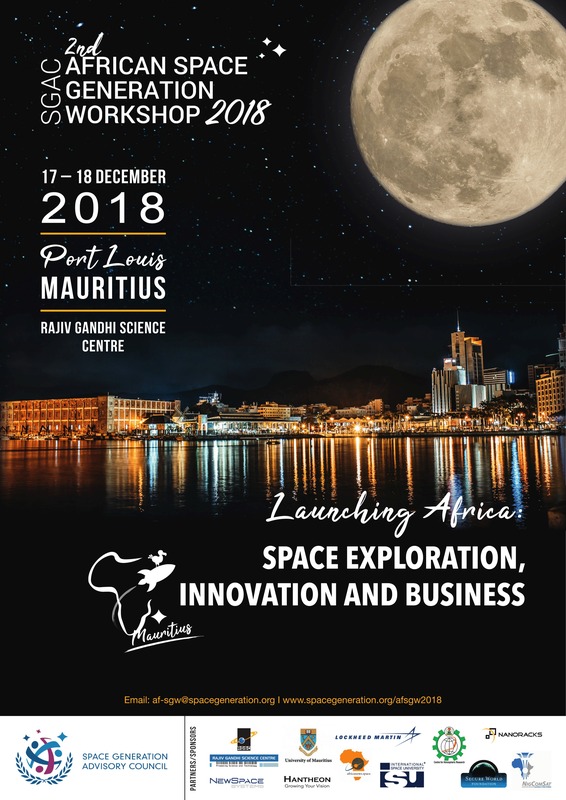 Following to the success of the first African Space Generation Workshop (AF-SGW) in Nigeria last year, the Space Generation Advisory Council (SGAC) in support of the United Nations Programme on Space Applications will host the second edition of the workshop in Port-Louis, Mauritius on the 17th and 18th of December 2018. 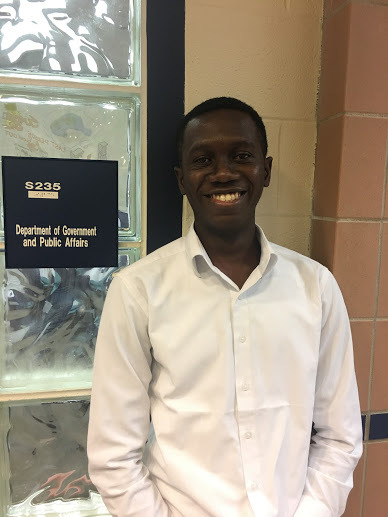 Applications were received from over 200 students and young professionals from over 30 African countries – this promises to be the largest gathering of young space professionals in Africa breaking the record set last year in Nigeria. The theme of the workshop is: “Launching Africa: Space Exploration, Innovation and Business”. The two-day regional workshop will bring together around 100 delegates, students (bachelor’s, master’s and doctoral degree candidates), young professionals and industry representatives to examine, consider and collaboratively stimulate interdisciplinary perspectives on space and scientific matters in the African region. Participants from diverse fields will have the opportunity to interact with experts from academia, businesses and space agencies through plenary and panel sessions, keynotes and working group discussions. Take a glimpse at the content of the workshop. We wrote the 5 reasons you should not miss the 2nd African Space Generation Workshop on a separate blog. The early sessions of the opening day will feature remarks from the SGAC leadership and the host. The partner address session follows the opening remark featuring Prof. Jhurry, Vice-Chancellor University of Mauritius and Dr Somanah, Director, University of Mascareignes. Representatives from the Government of Mauritius, including the Minister Technology, Communication and Innovation and the Minister of Education and Human Resources, Tertiary Education and Scientific Research (TBC) will deliver brief welcome addresses. The line-up of speakers for day one includes Prof Girish Beeharry, Mauritius Radio Telescope; Dr Francis Chizea, Director, NASRDA; Dr Danielle Wood, MIT Space Enabled Research Group; Dr Nadeem Oozeer, Dr. Taiwo Tejumola (Resident Faculty, International Space University), Square Kilometre Array (SKA) and Dr Nalini Heeralall-Issur, University of Mauritius. There is a special session for highlighting Women in Space and Science. The session will inspire a generation of gender inclusive space industry. The panellists for the session include Allyson Reneau (USA), Susan Murabana (The Traveling Telescope, Kenya), Lt Col Lillian Muwina (Zambia), Abimbola Alale (M.D of Nigerian Communication Satellite Limited, Nigeria), Dr Minoo Rathnasabapathy (MIT Space Enabled Research Group, South Africa) Moderator: Beza Tesfaye (M.D ESSS, Ethiopia). Day 2 will feature keynote speeches from great industry leaders of Africa’s emerging space sector. The line-up includes Allen Herbert, Nanoracks & Chris Stott, ManSat TBC – Mauritius Research Council, James Barrington-Brown, New Space Systems, Dr Ganiy Agbaje, Director (ARCSSTE-E). Mr Temidayo Oniosun of Space in Africa will moderate a panel on Business and Policy: New Space Africa. The panel will feature Dr Sudhoo, Mauritius Research Council (MRC) and other companies such as Air Mauritius, New Space Systems. The break-out working group sessions will continue in day 2 culminating into concluding final presentations by each group. NASA Astronaut Nicole Stott will the “bottom-pot” special address entitled Space Exploration Journey – Expedition 20 & 21. Hands-on workshop for school/college students and space art exhibition will follow on the following day, Saturday 15th. It will be a wonderful experience to witness the radiating ambience of the Island of Mauritius while networking with great space industry leaders. What a great way to wrap up professional activities for the year and launch your holiday mood while in the beautiful Island of Mauritius.